Luxuriously silky soft Bamboo fabric and exfoliating Loofah combine in a sponge for an all over cleansing, massaging and exfoliating experience. Hydréa London Bamboo & Loofah Exfoliating Back Strap massages and cleanses the skin from impurities by removing dead skin cells, while boosting circulation leaving you with fresher, brighter skin. 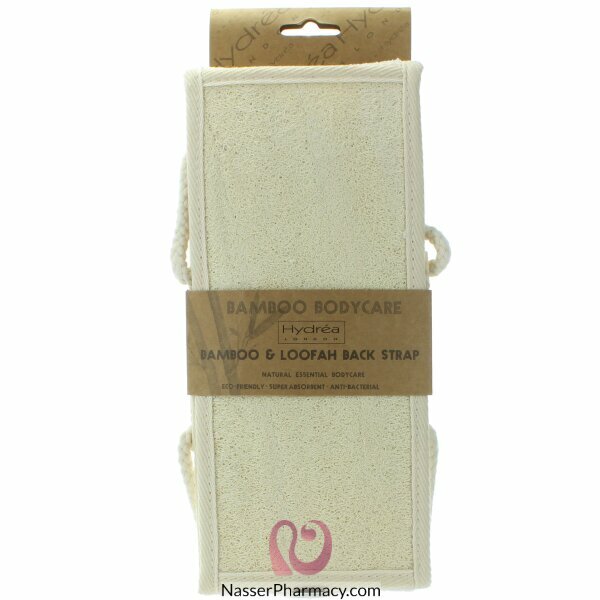 With real bamboo wood handles for easy reach to the back and shoulders. Rinse Hydrea London Bamboo & Loofah Exfoliating Back Strap after use and allow to dry naturally.